The Trollbeads Water Lily Family, designed by Mette Saabye and Moonlight Dancing, designed by Søren Nielsen both cost $56 USD/$74 CAN. They are approximately the same size and I’ve been using them together a lot lately. They are the silver beads on the leather bracelet below. Water Lily Family is the one on top and Moonlight Dancing is below. Water Lily Family looks really neat close up. Probably my most common thing to wear is three glass beads with two silver beads on a bangle. Sometimes I group the glass in the middle. And sometimes put the silver beads in between the glass beads. This is kind of like when you go to the eye doctor and they say, which looks better, one? Or two? I can’t decide, actually. I used them both on that big purple and white bracelet from last week. Here’s a better look at it. 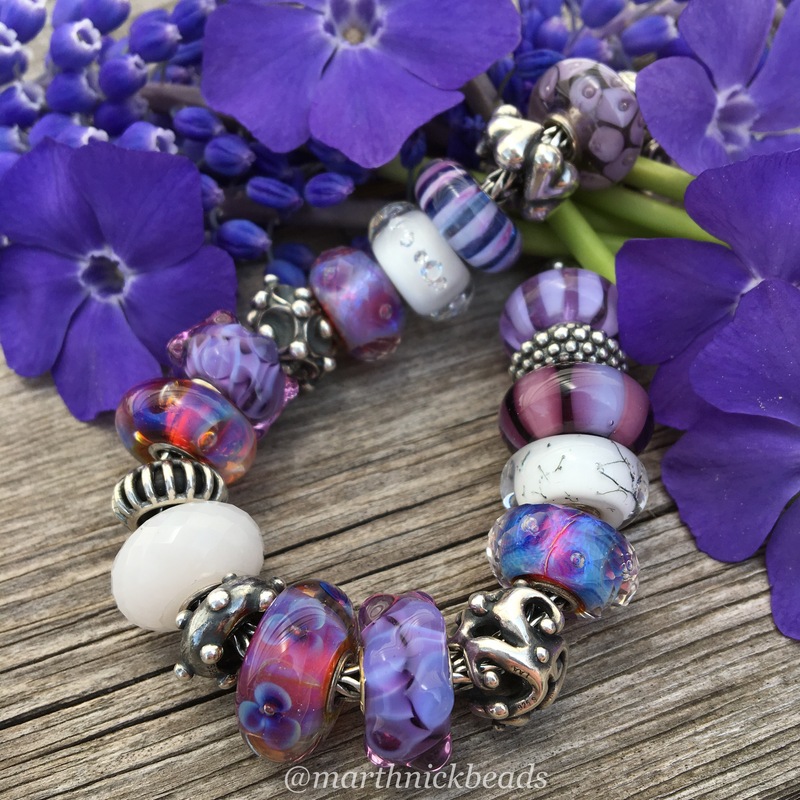 Left to right, the beads below are Rhythm Drum, Lavender Stripe, Sweet Berries Spacer, Purple Stripes, White Steel, Faceted Aurora and Moonlight Dancing. 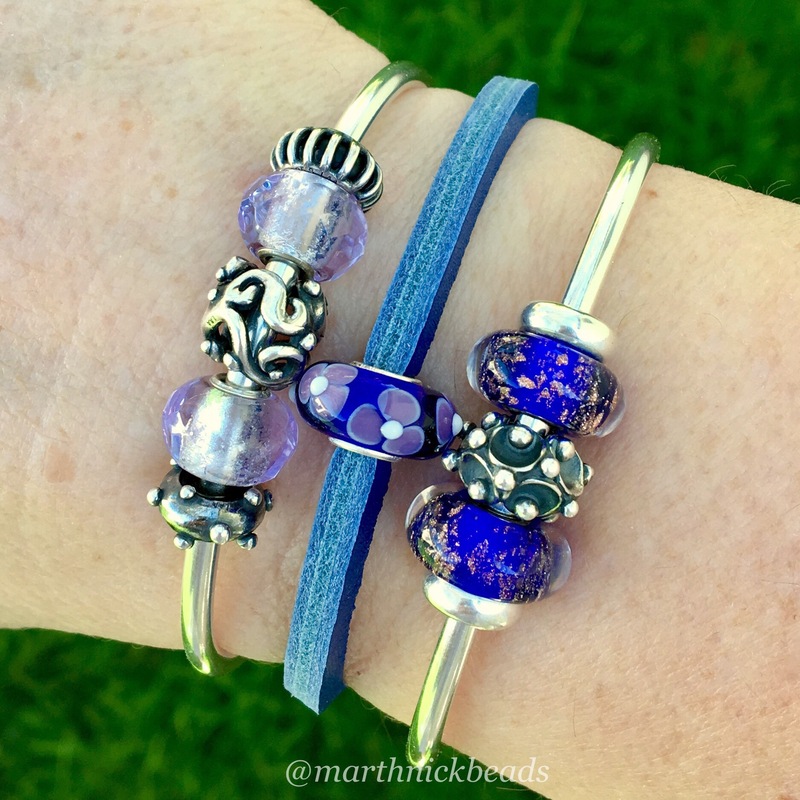 Below left to right after Moonlight Dancing are Purple Waters, Aurora Flower, Dot to Dot Spacer, Milky Quartz, Sunbeam Spacer, an Aurora, Purple Waters and Water Lily Family. 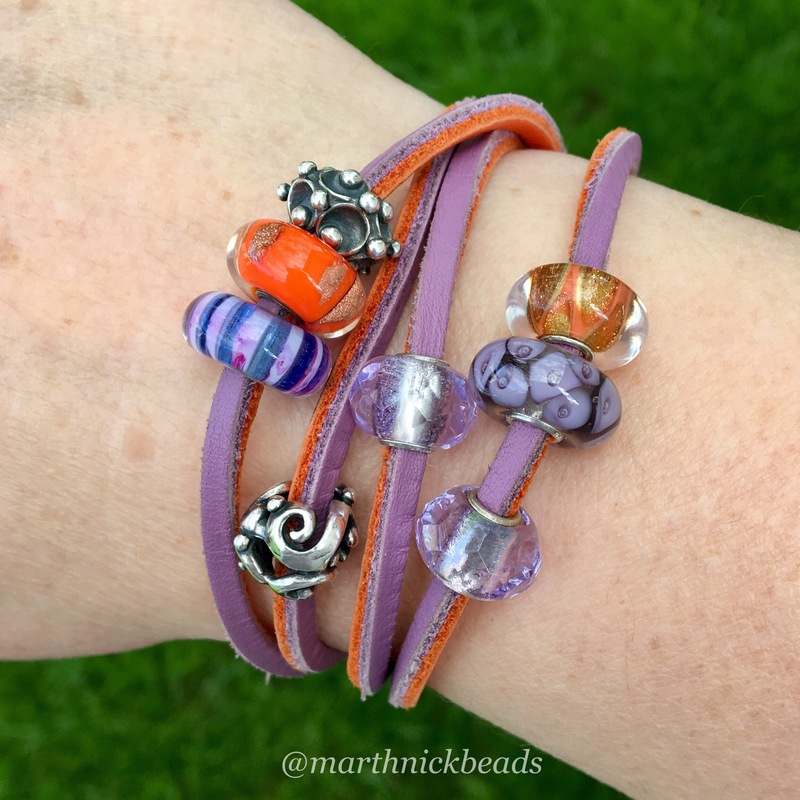 Below left to right are a Faceted Aurora, White Diamond Bead, Violet Stripe, Connected Love Spacer, Nature Friendship, the bead from the Feel Good Bracelet and the Water Lily Lock, also designed by Mette Saabye. Next is a combo using the Blue Unique Leather Bracelet. The Unique that it came with is a striking indigo and purple! I love how it matches the Hong Kong Skyline Beads. 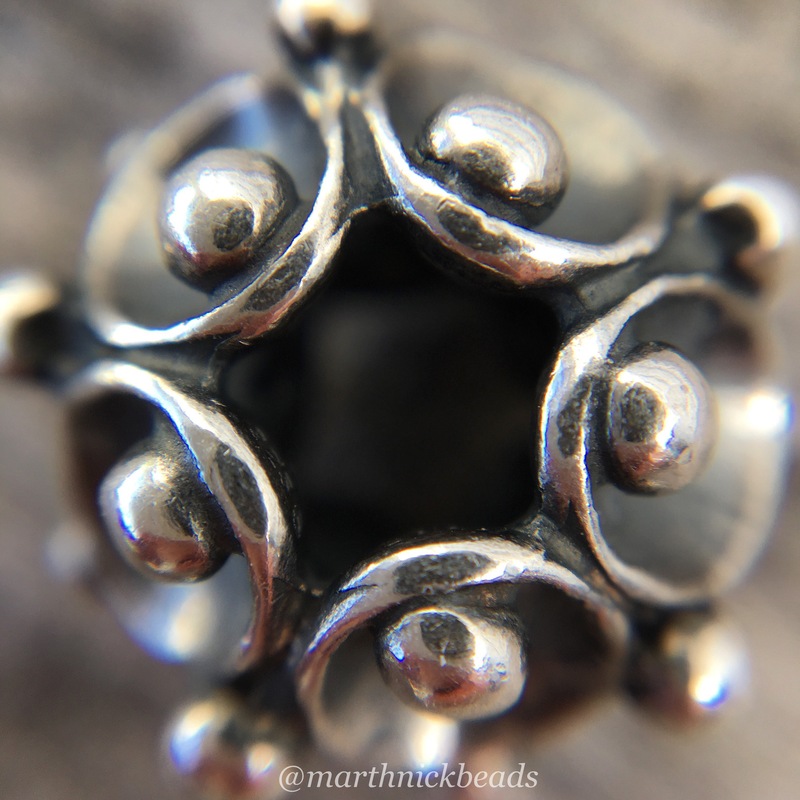 Coming up Friday are some styling ideas for the Single Water Lily Spacer and Water Lily Spacer. One photo is on my Facebook page. Just click on the FB icon in the right hand column to see it. 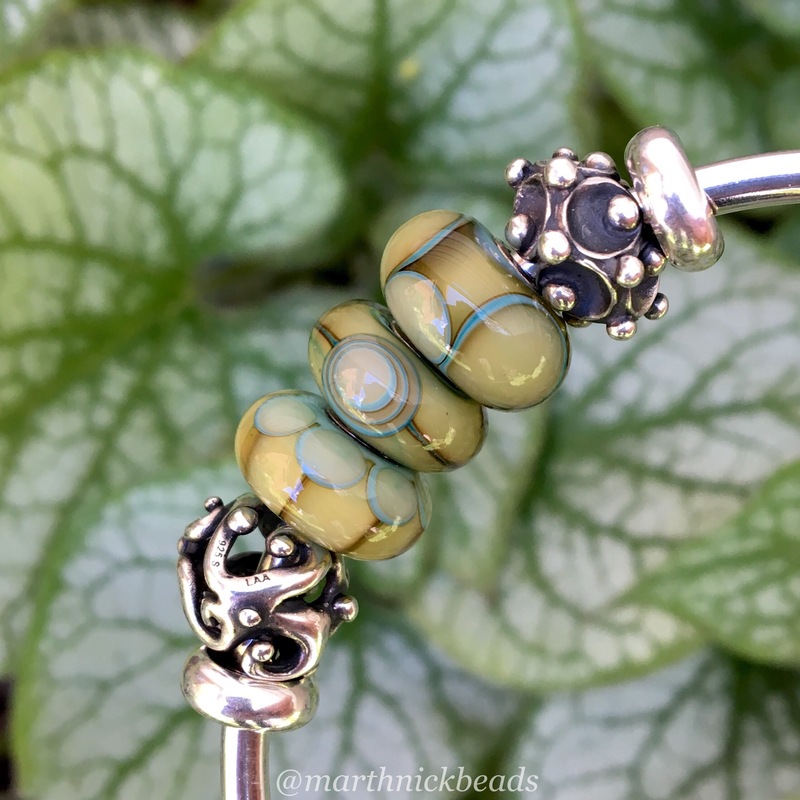 This is a total Trollbeads feast! 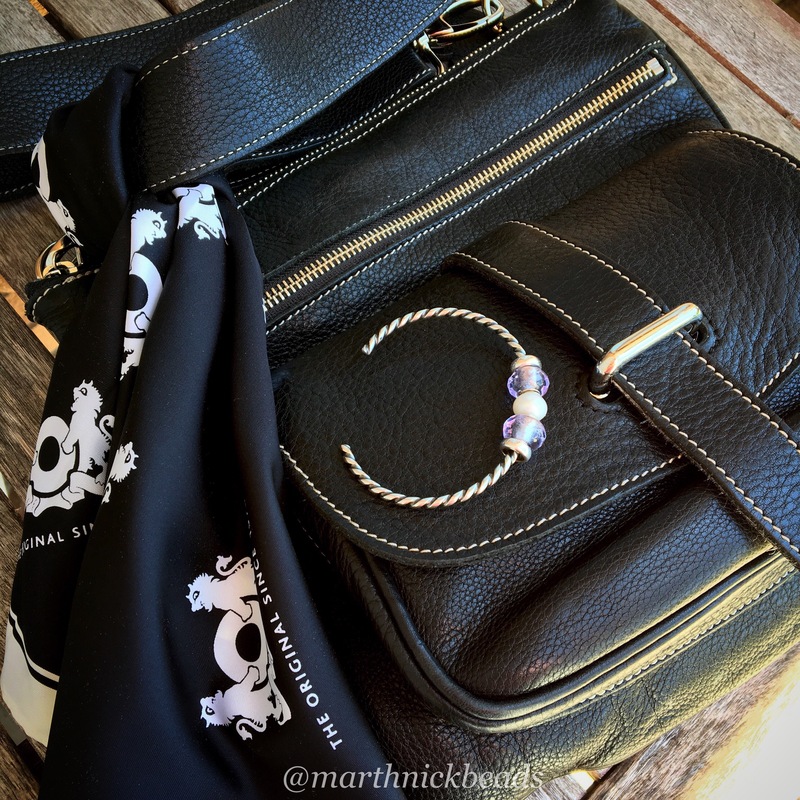 I love the Waterlily collection and these two are definitely on my list, thanks to your beautiful stylings and photos! I really like the blue and the green leather combinations you did, and the purple, of course! Off I go to work with my head and eyes full of your beautiful bracelets! Thanks Sarah! I had fun putting these photos together. 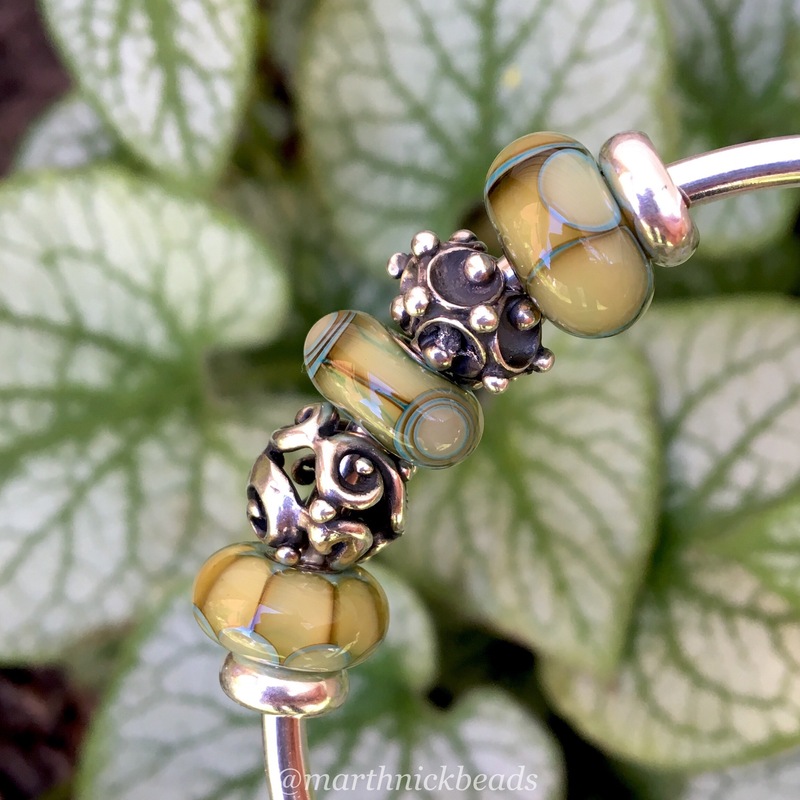 I don’t really have any new beads these days, but have so many from the Trollbeads spring collection still to show. Their collection was so large that it’s easy to overlook beads and these are so lovely, in my opinion. Hi Martha, First of all, I love all the designs you’ve done here. Of course I usually say that, but that’s how it is! 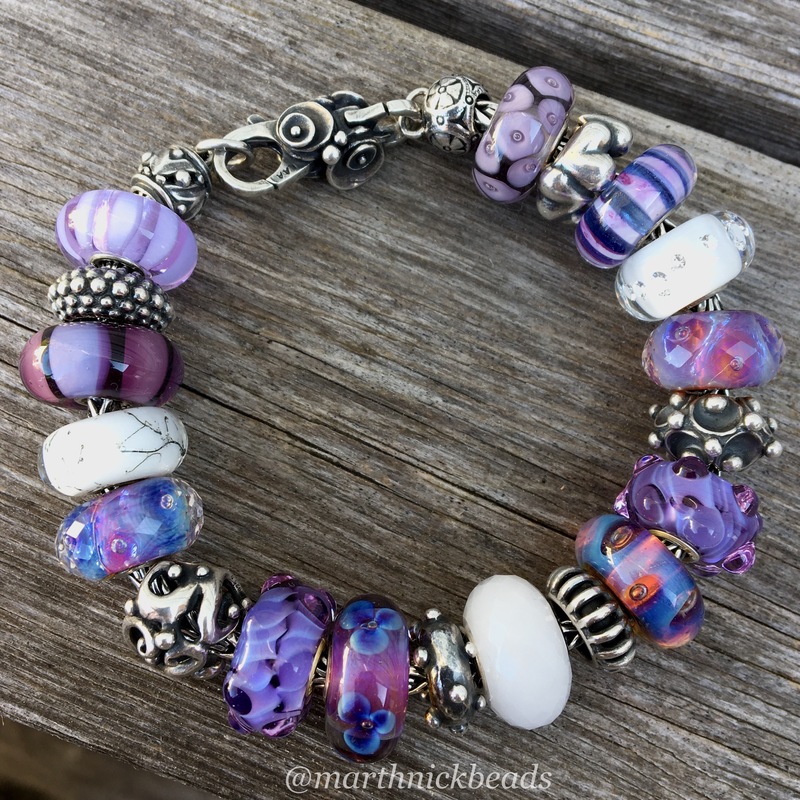 One of the many things I love about your photos is that; if I’m not really sure how I feel about a bead, I can see how it will look on a bracelet with other beads. This is very helpful for me in order to judge size, look, etc. to see if I really want it. I usually don’t buy beads as doubles, but I do try to have two similar for balance. I cannot pick from or 1 or 2, both are wonderful. This is what I mean by using beads that are similar. 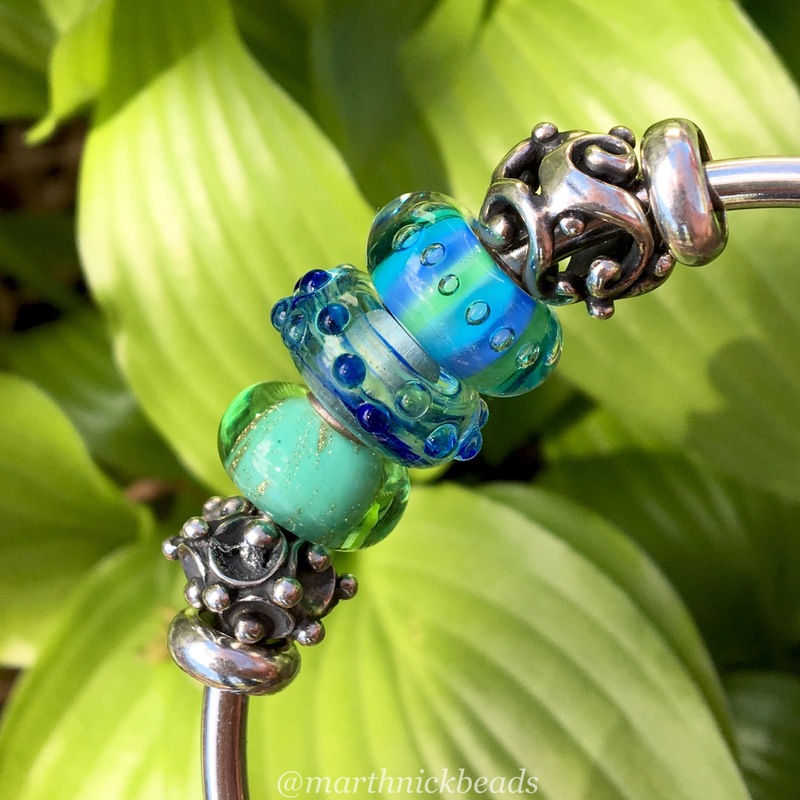 I’ve been looking at these beads…I think they are called Aqua Edge…for quite awhile now. See, this is exactly what I mean by using your photos to make my decision! Suzanne, I’m so happy that my photos can help with buying decisions. 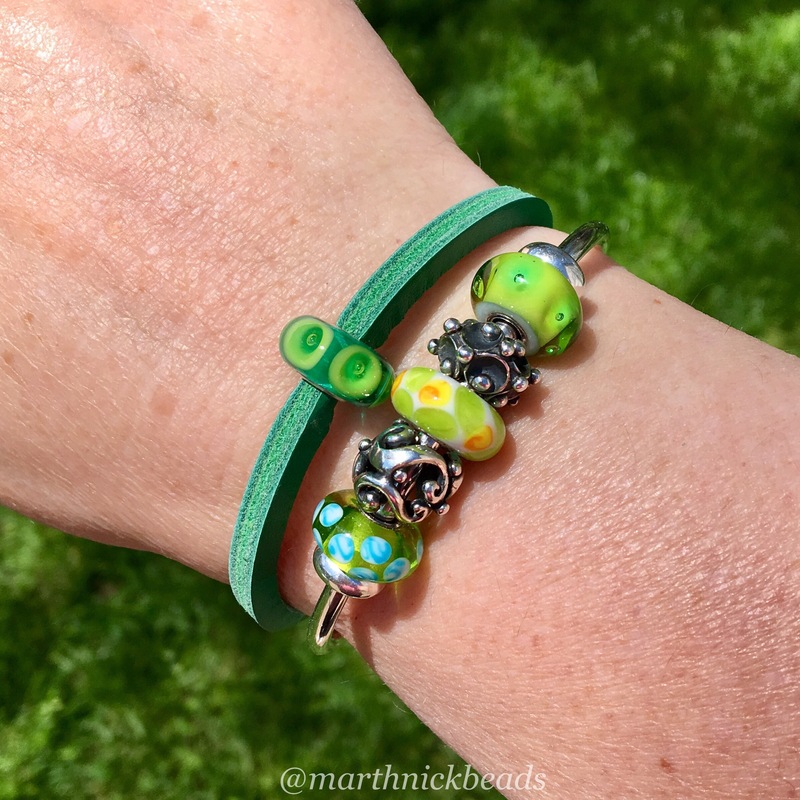 With glass beads, they can vary in size, like my green Seabed bead is smaller than the other beads it is with, but definitely for silver beads live pictures can help. 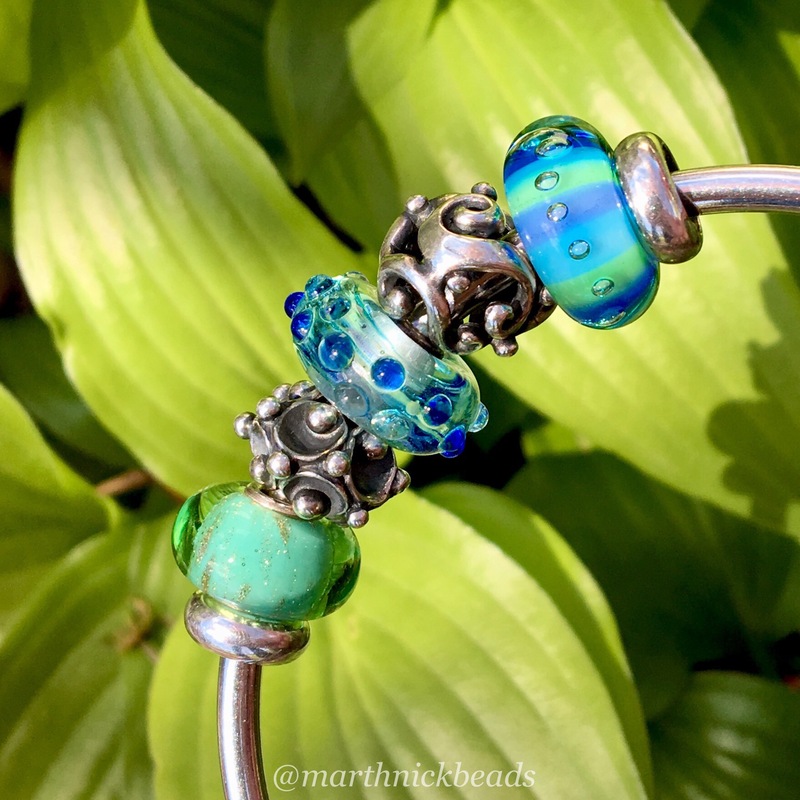 The Aqua Edge beads are so beautiful, I think and I should wear them more often!